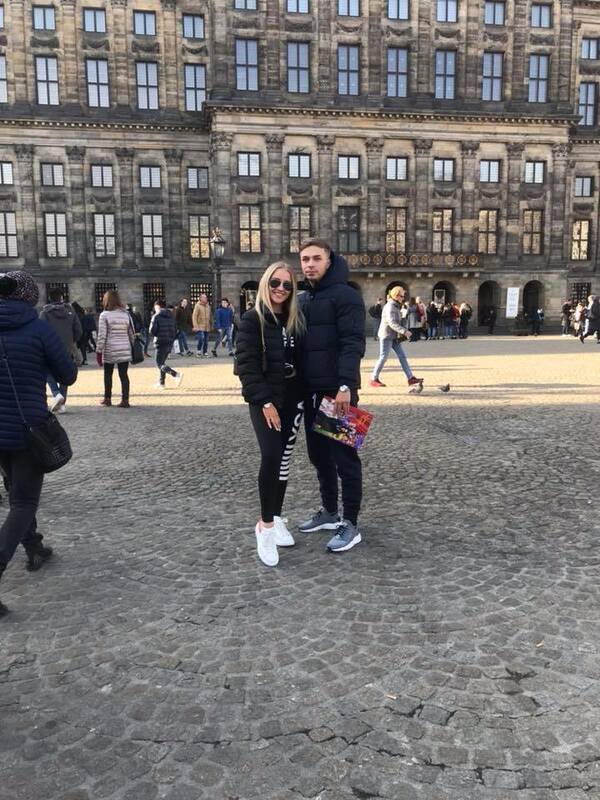 For Valentine’s Day 2018, my boyfriend and I travelled to Amsterdam for a long weekend. 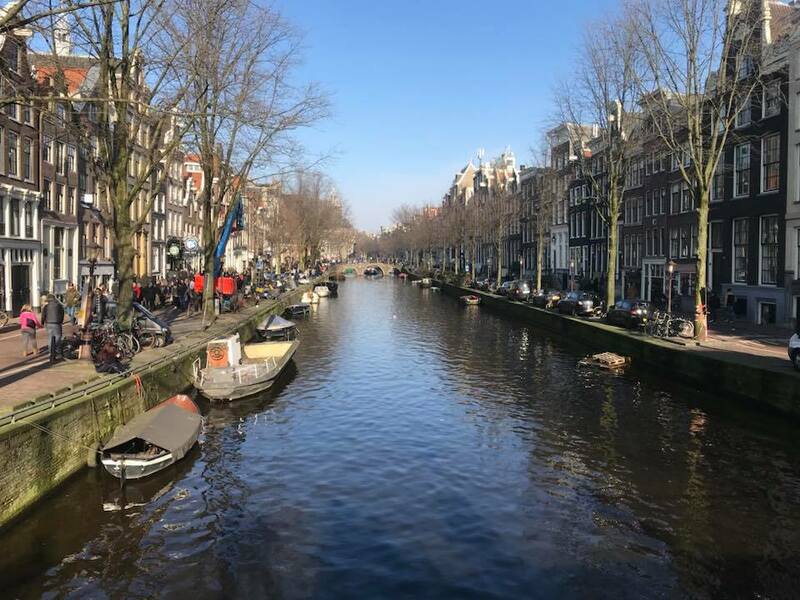 Of course, I had heard lots of good things from my friends and family visiting Amsterdam but I was still unsure whether this city was going to be my ‘thing’. 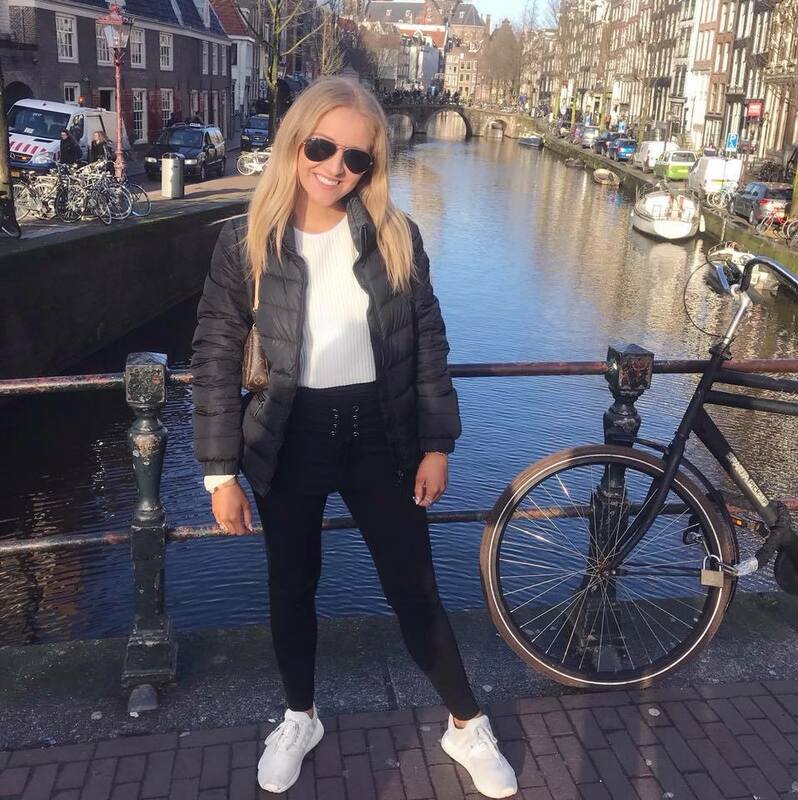 I realised that Amsterdam was most definitely my ‘thing’ when we looked into changing our flights home and booking another nights stay! 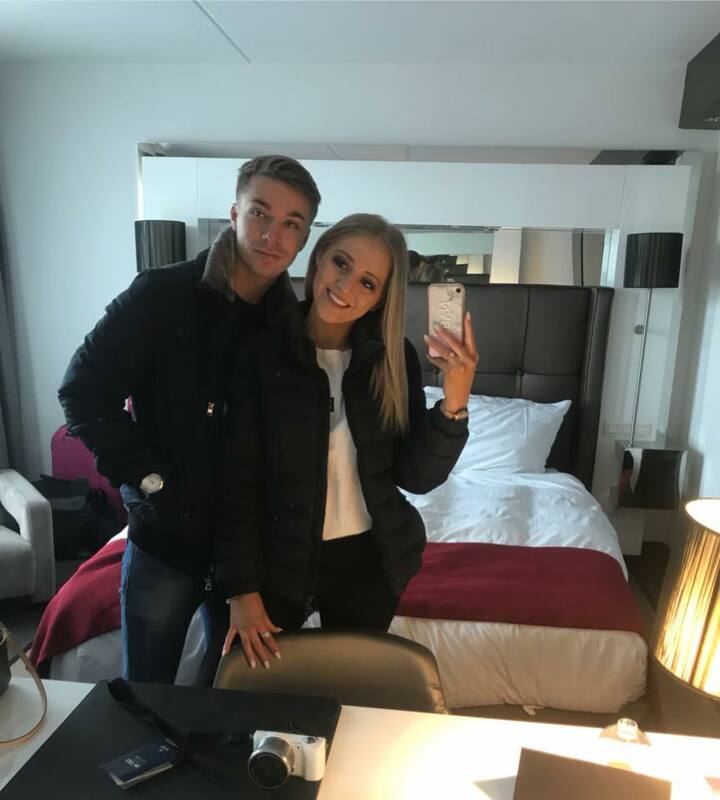 We had the best time away and we are already planning our next trip back! We were lucky enough to stay in a really beautiful hotel, the Westcord Fashion Hotel. We stayed just outside of the busy city centre and it was absolutely perfect for us. The staff at the hotel were all really sweet and attentive and as soon as we arrived, we just knew we were going to enjoy our stay! 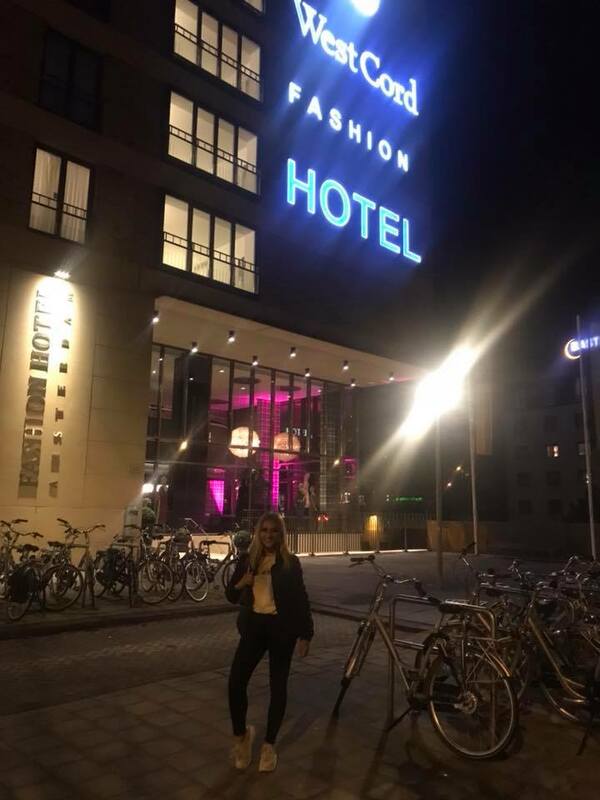 Obviously, the hotel name appealed to me as I adore Fashion, so I couldn’t wait to see the hotel for myself and it is safe to say, google images do not do it justice! The hotel staff were so helpful when it came to sticking with some sort of budget that we tried to put in place – we queried the best way to get into the city centre and they told us the tram was the best option for us, which they then proceeded to provide us with the option for a tram pass for just 25 euros each (this price was for our travel on the trams from the beginning to the end of our trip – completely unlimited but for a certain amount of travelling hours) – this worked out so much cheaper than taxis and ubers! On arrival, we kindly received two spa vouchers – this meant that we were able to use the pool and sauna on our stay. This was a lovely touch that we did not expect at all! 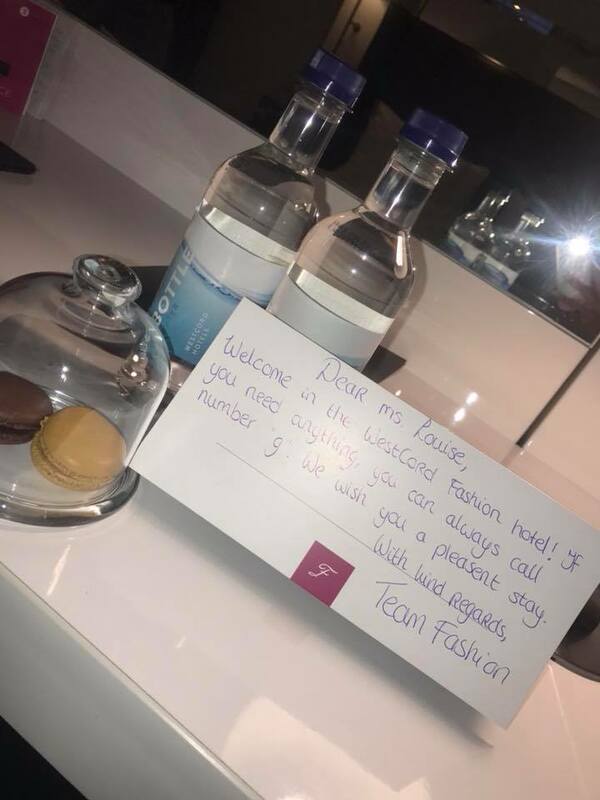 When we entered our room, we found a lovely note from the Westcord Fashion Hotel, along with two bottles of water and two colourful macaroons which was really cute! Our room was really beautiful too – so beautiful that we could have happily visited Amsterdam and stayed in the hotel the whole time! We stayed in a very modern looking room which was huge for just the two of us. As I suffer with my back, it is good to mention that the beds were extremely comfortable too. I have already recommended the Westcord Fashion Hotel to a number of friends, family and even strangers. 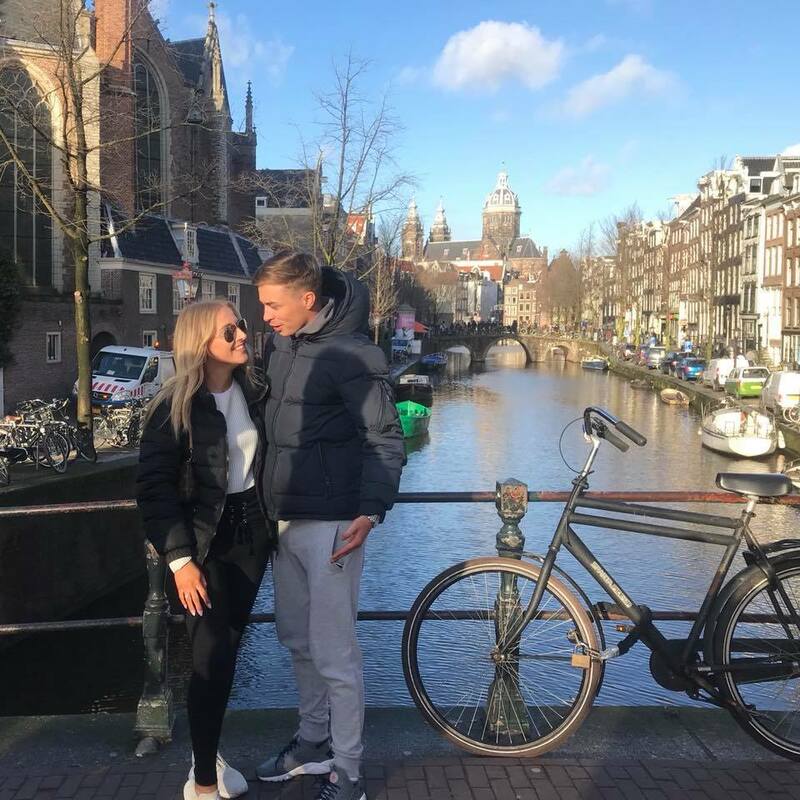 It is safe to say, the hotel is one of the best hotels I have ever stayed in and you should definitely consider staying there if you are thinking about visiting Amsterdam! We didn’t have any issues at the hotel at all, so we didn’t need to contact them for anything in particular but I know that if we did have any problems or issues, they would be there straight away to offer a helping hand and an outstanding service – they were all very relaxed and welcoming, which of course, makes the whole hotel experience that much better. Anyway, I normally prefer my beach holidays, so to be doing the whole “tourist” thing was quite new to me but I really enjoyed it! 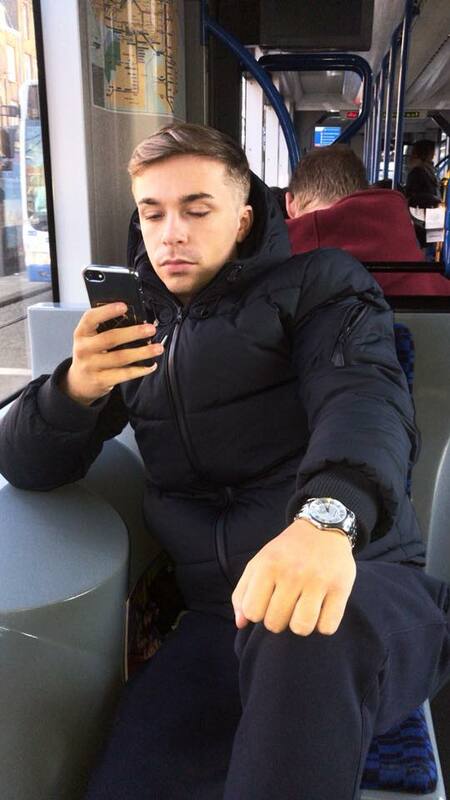 I felt like Dora the Explorer walking around with my google maps for the first few hours but as soon as I found my bearings, I could get from A to B with no issues at all – Georgie was really shocked at how quickly I worked out where everything was! It was really lovely to explore and experience it all with my boyfriend!  I am what they call a “happy snapper“, I love a picture or 4328573(! ), so thankfully, I was lucky to have Georgie with me, he is one of my “blogging photographers” majority of the time, so he knows the angles and the amount of pictures you actually need to take before you get the perfect picture – I am blessed, he never complained even with the amount of times I shoved the camera in his face – hehe! 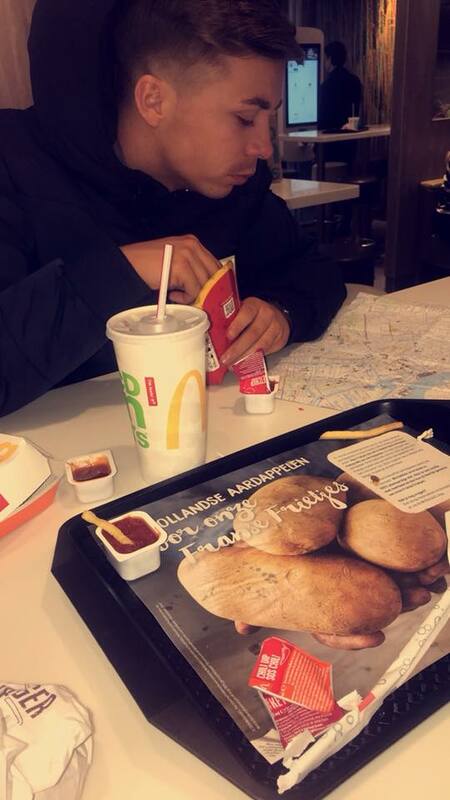 On the first day, we visited a number of places but first of all we stopped off for a Mccy D’s burger!!! 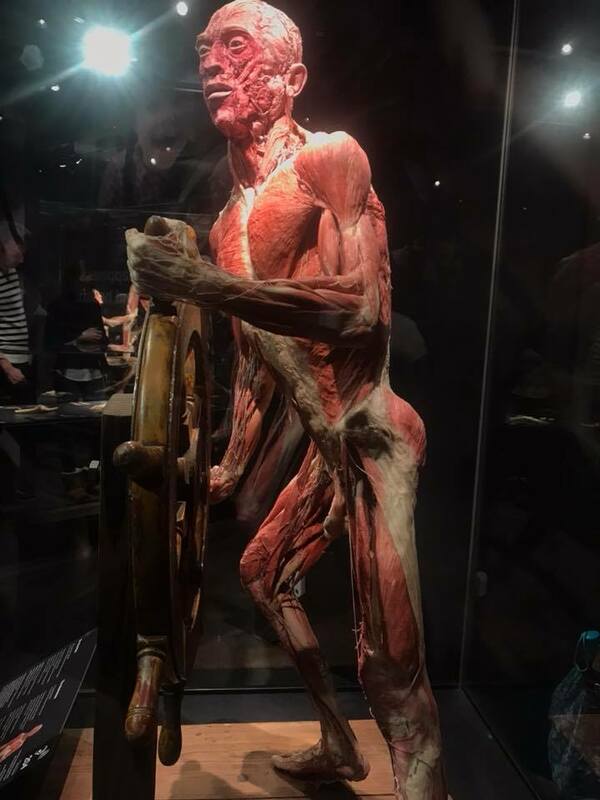 Then we headed to “Body Worlds” – this was really interesting and so weird to see actual bodies and body parts in the museum. Georgie didn’t believe me when I told him they were real people who had chosen to be added to the museum after they passed away – I had to ask the lady on reception to confirm this (it’s not like I usually joke about things like this either?! Lol!) but I would definitely recommend that you visit the museum – it is well worth it. 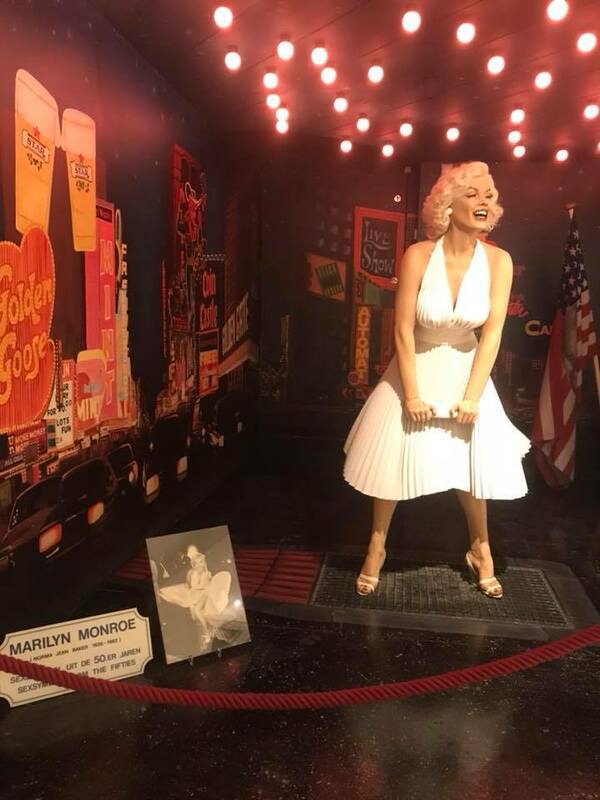 Then we headed to the S*x Museum, I found this really boring and I am glad we only paid 5 euros per person to enter as it was definitely not worth any more than that – it is one of the busiest tourist hotspots but personally, I wouldn’t recommend it! Then, we headed to the canal to take some pictures for Instagram.. we got some lovely shots and enjoyed just watching the boats pass by. The Bulldog Cafe was just beside the canal so I had to go and check out this tourist hotspot, especially as I was told the milkshakes were to die for, but I beg to differ… they were nice but not the best I have ever had! We were not sure what we fancied for dinner that night so we went for something fairly small at a cute restaurant and that concluded our first day, we then headed back to make the most of our gorgeous hotel – we wanted to get an early night in order to make the most of our few days in Amsterdam. 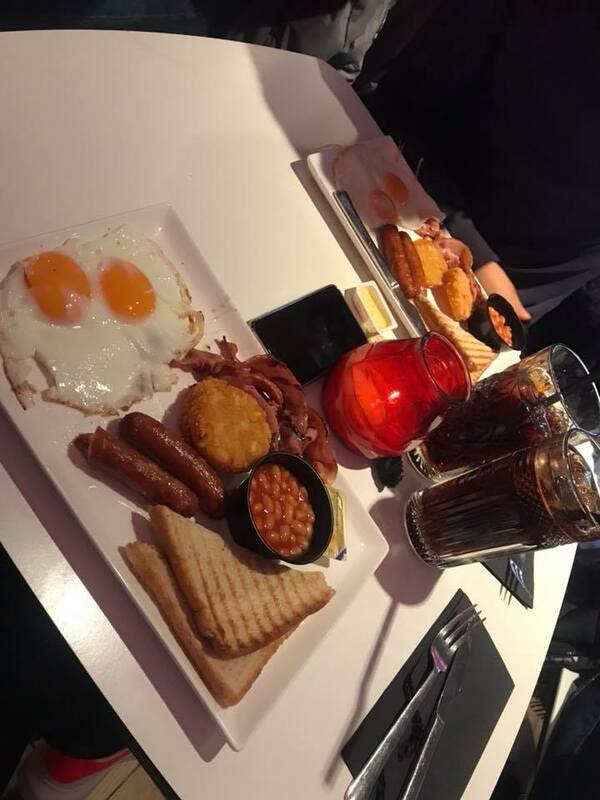 We started off by stopping off for breakfast in the city, we both had a full English breakfast which was okay but not as good as my mum’s!! I actually can’t remember the name of the restaurant (so it wasn’t worth recommending clearly!). We then made our way to the canal to have another one of our daily photoshoots (I mean, you need to have an OOTD shoot in front of the canal on a daily basis, right?!). We had a walk around for a while and then decided to catch a canal ride – this was honestly one of my highlights of the trip and definitely something you need to do while you are visiting Amsterdam – it was super quiet on our boat so it was pretty relaxing and very interesting and yup, you guessed it… I had yet another photoshoot on the boat (lol) but at this point Georgie was seriously getting fed up with me and my photoshoots!!! 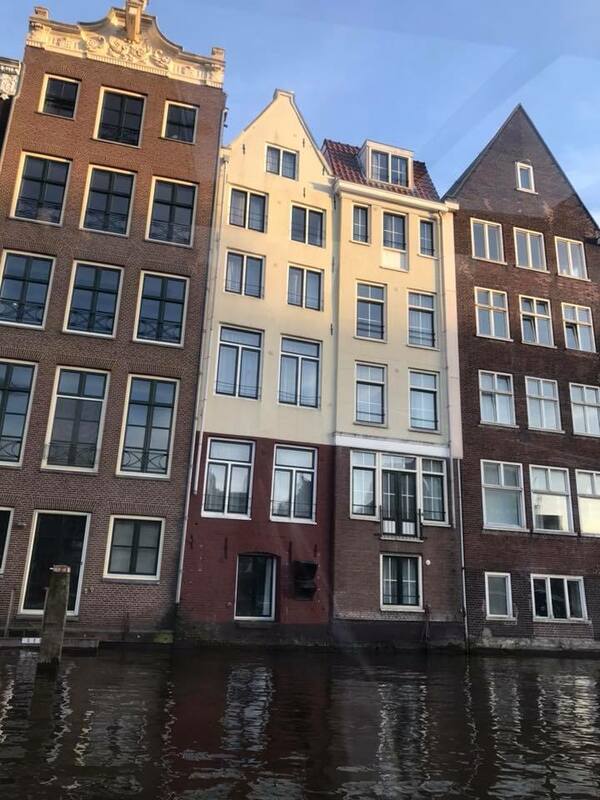 On our boat trip we passed Anne Frank’s house which is something we did really want to visit, unfortunately, we didn’t realise you have to book months and months in advance and you can now only book online (top tip – make sure you BOOK online, if you are planning on visiting Anne Frank’s house anytime soon!). The canal ride lasted around an hour, so we saw lots of places we hadn’t seen already. 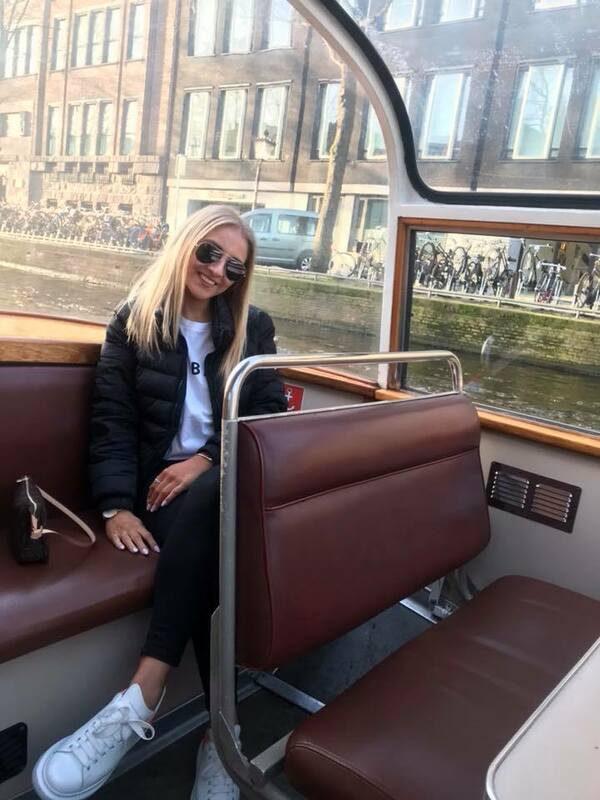 I think I would generally go back to Amsterdam just to do another canal ride!!! I had seen on Instagram previously a café called “Bulls and Dogs” which I had been dying to visit from the moment we stepped off the plane! Georgie agreed that we could head over for one of their delicious looking milkshakes! 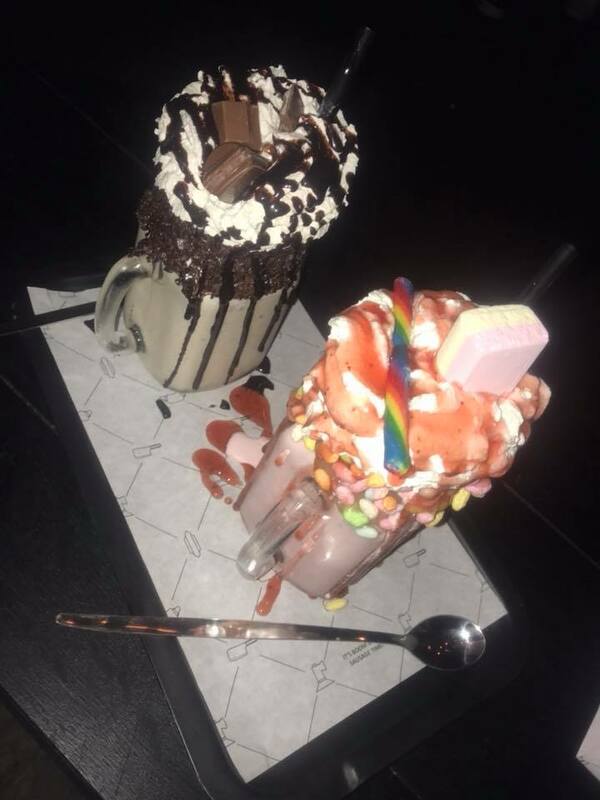 This was certainly another highlight of the trip… the milkshakes didn’t only look absolutely incredible, they tasted even better – it was like heaven in a glass, honestly, that is the best way to describe it! If you follow me on Instagram, I am sure you would have seen me post a boomerang on my story… we actually walked an hour to find the café but it was well worth it – we basically worked off the calories we gained in milkshakes!!! 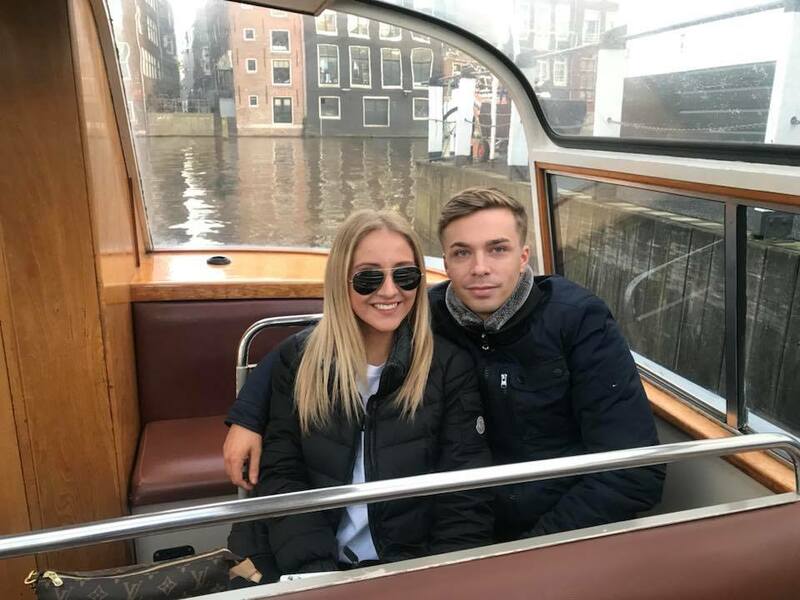 This is a MUST visit if you are in Amsterdam – it is only a 10 minute tram journey from the city centre too (which we discovered when we headed back to the centre) so I suggest you tram it rather than walk it, like we did!!! 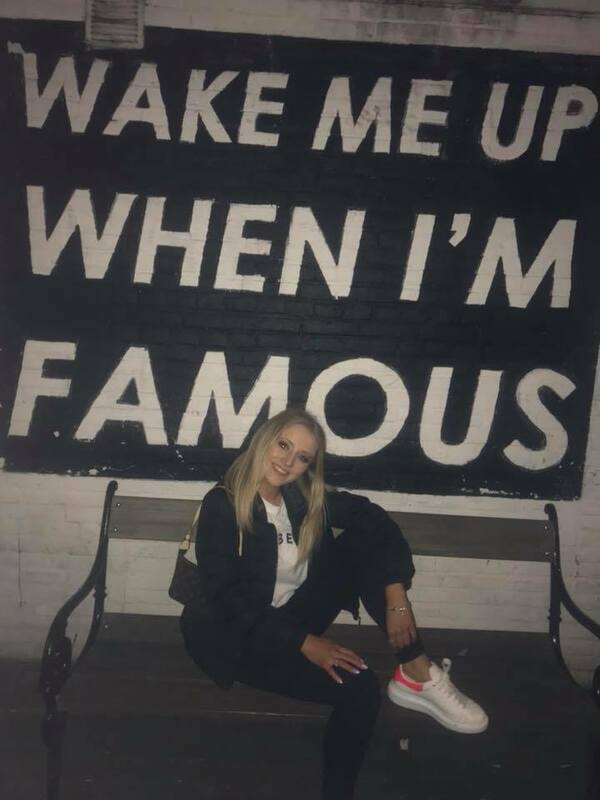 Another Blogger hotspot I had seen on Instagram was the “Wake Me Up When I’m Famous” wall… I was actually pretty disappointed with this, as I did expect much more than just a bench in front of a wall with the quote – I am still of course, glad I saw it and had some pictures for the gram in front of it! I saw it in the dark unfortunately, so there were lots of drunk people around and two drunk people who would not leave the bench in order for me to have my pictures at first – but if you do visit this in the dark, make sure you stay safe around those areas at night as they aren’t very well lit! 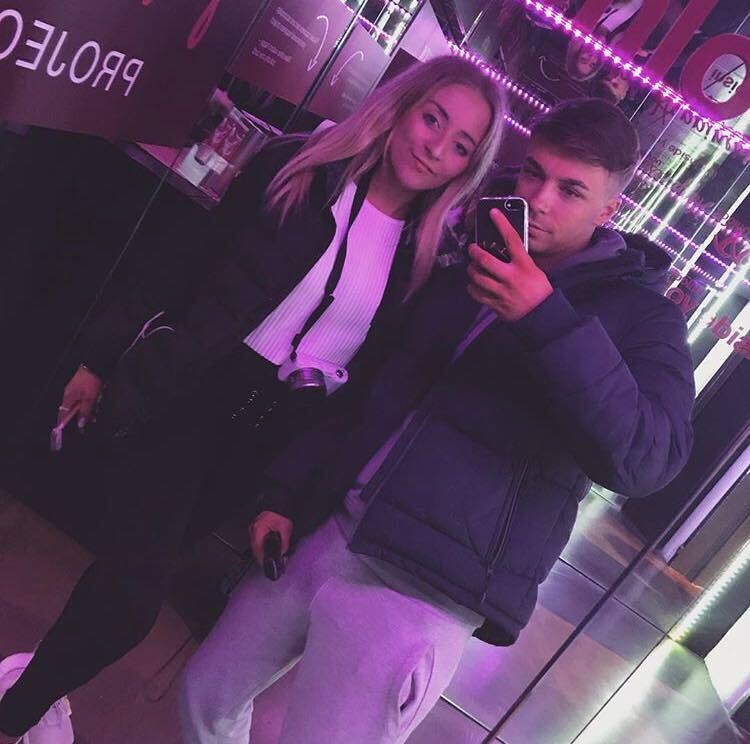 Georgie then treated me to some steak at CAU – we had so many recommendations for this steak restaurant but I must say it is a little overrated, don’t get me wrong, it was lovely but the portions were tiny for the amount Georgie paid! I do love my steak too. We wandered around the Red Light District after our romantic meal, which was erm… interesting to say the least and again, headed back to the hotel fairly early. When we got back to the hotel, we wandered around to see what we could find and of course, out came the video camera (yup, you heard it here first… I have a vlog to upload but as I previously mentioned in my blog post on my brunch, I am still having trouble with my laptop – so at the moment, I am totally unsure when this will be up!) but we got to wander the hotel for a while which was pretty enjoyable! On our final day we woke up really down and upset that we had to leave… we were so upset that as I mentioned previously, we decided to look into how much it would cost us to stay for an extra day and night!!! 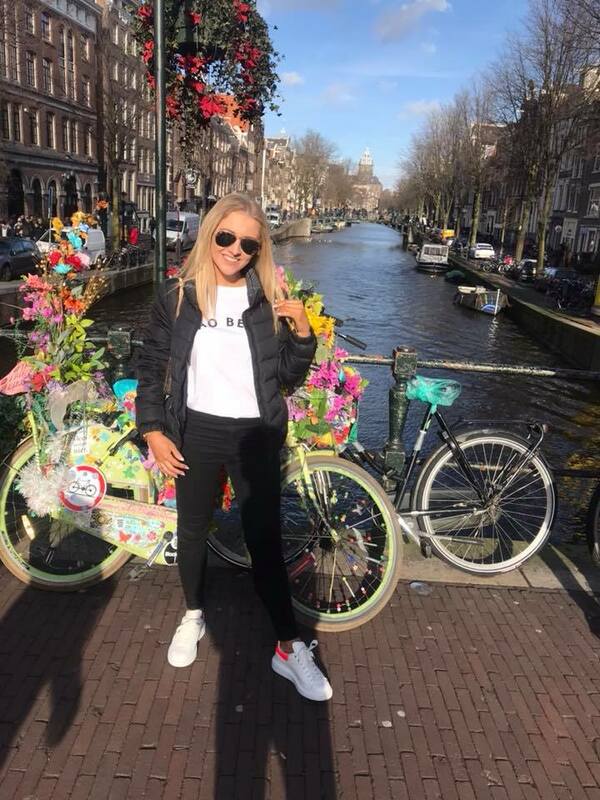 We had the morning to wander the beautiful streets of Amsterdam and as they say, time flies when you’re having fun and it certainly flew by! We had breakfast in the hotel on our final morning and it was delicious. I love a buffet breakfast and so does Georgie (as he can eat for England!) but we had a nice cup of tea (our morning essential) and filled our stomachs ready for the day ahead. We were really indecisive about what we wanted to do and see on our final morning. I like to be organised and make timetables to enable us enough time to see and do everything we originally planned but we had already decided at breakfast that we would definitely be coming back, either later this year or early next year, so we decided to hold a few of our ideas back so we have a few things to do on our return. 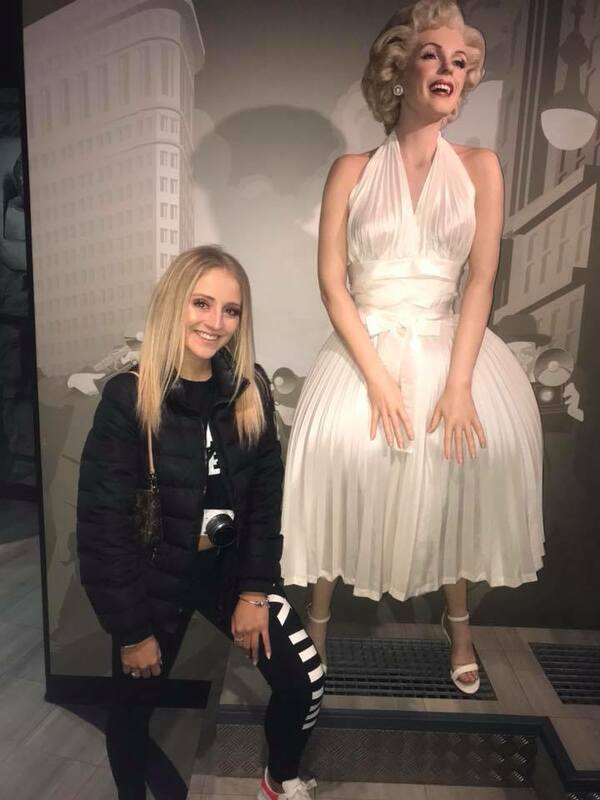 I have visited Madame Tussauds in London before, when I was younger and it wasn’t something we had planned to do but my sister used to be the biggest Ariana Grande fan and I remembered that Ariana had her own waxwork model in the Amsterdam venue (and I believe this is still the only Madame Tussauds you can find her waxwork) so we decided to tour the Amsterdam museum on the hunt for Ariana Grande, in particular. 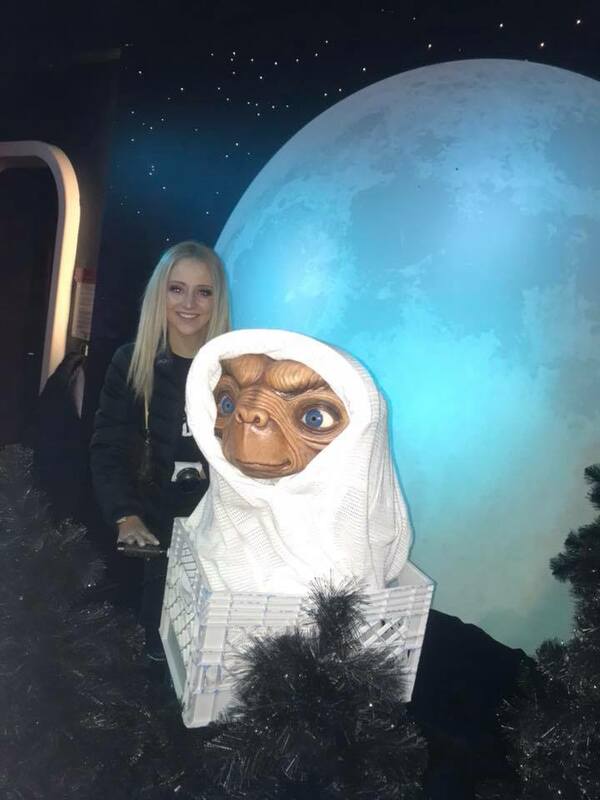 Georgie has never been to Madame Tussauds before (not even the London venue, which is practically on his doorstep) so he got the whole experience, although he was too shy to have pictures with the waxworks – even Messi! Whereas, me on the other hand, had pictures with anyone and everyone haha! Then we headed back to the canal, of course, we took our final pictures and headed back to the hotel to checkout :(!!! I can honestly say, I enjoyed seeing Amsterdam a lot more than I ever imagined, I am already so excited to go back (even though nothing is booked just yet!!!). It was so lovely to get away, I had a social media break and just a break from reality which was thoroughly needed. I rarely looked at my phone the whole time we were away!!! It was a lovely, romantic valentines trip with the “us” time that we really needed. I’d just like to say a huge thanks to the Westcord Fashion Hotel who made our trip that extra bit special for us! To book to stay at the Westcord Fashion Hotel, check out their website: www.westcordhotels.com/hotel/fashion-hotel-amsterdam and if you read my blog post before you happen to book, I would be unbelievably grateful if you could drop in, that you read my blog post and my recommendation too – thanks in advance! 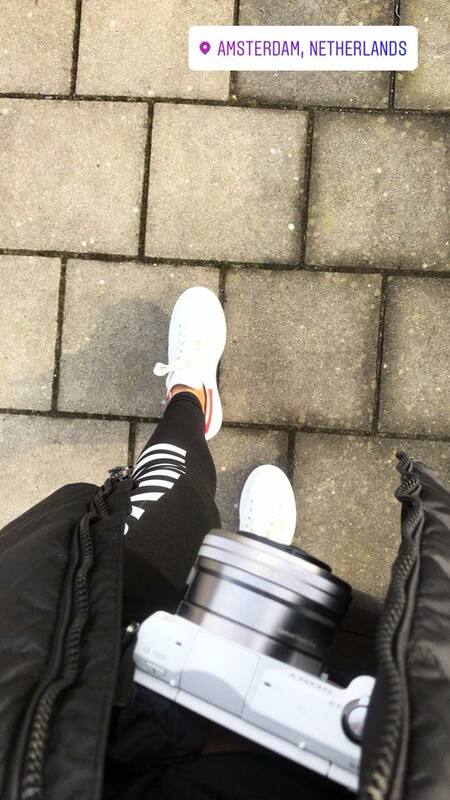 And, make sure you subscribe to my YouTube channel (www.youtube.com/RobsGigiandAmi) to ensure you get a notification as soon as my Amsterdam Vlog is live!